Some trash companies’ roles are changing as amassing food waste continues to be a front-and-center garbage issue. Athens, headquartered in the city of Industry, Calif., is among those now doing more than collecting and dumping food waste, and the refuse company has its work cut out for it, located in a state imposing especially rigorous laws. The company has its own compost facility, with plans for expansion. It partners with food donation organizations to see that edible food that would otherwise go to waste is given to people in need—even paying to help run their programs. 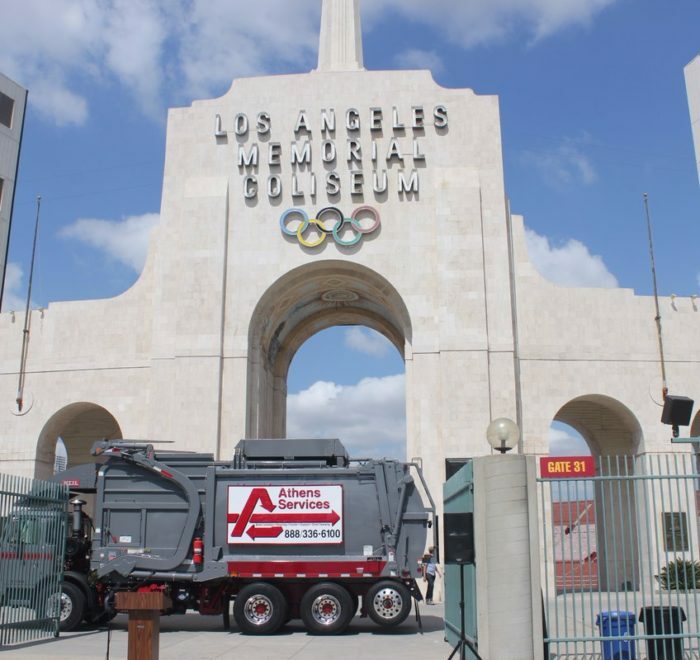 And Athens is a key player in a zero waste initiative at Los Angeles Coliseum. VICE Impact sat down with Athens Recycling Coordinator Brian Hunter to talk about about his work in the new recycLA program. He shared why he’s passionate about his new role and some of the goals that he and other Athens RC’s hope to accomplish. 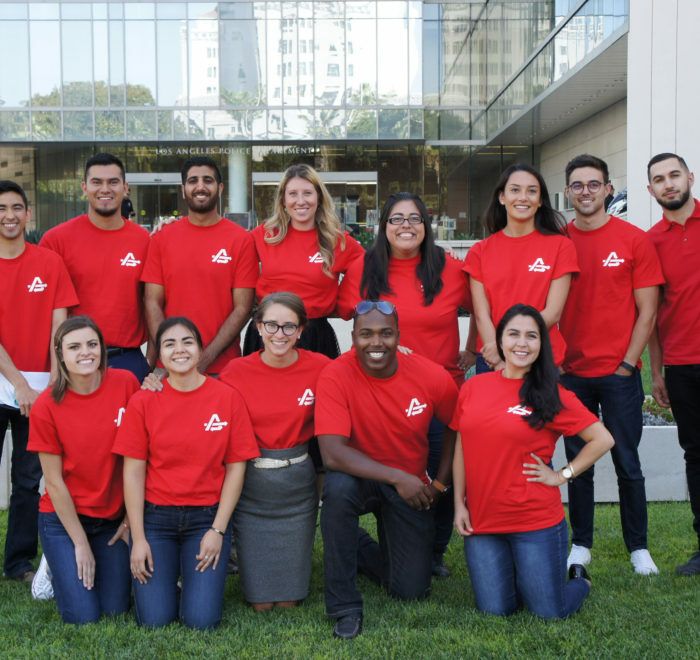 Brian thinks he and other millennials are attracted to the sustainability field because they feel it’s important to have a job that’s about “going green rather than greed.” We’re thrilled to have so many new employees like Brian to help us get Los Angeles to zero waste. They bring enthusiasm and a fresh perspective to our team! To help Los Angeles get to zero waste, Athens Services has joined LA Sanitation’s Green Ribbon Council. We’re excited to work together with business, civic and community leaders to help increase public awareness of the new recycLA program. BioCycle magazine has profiled Athens’ zero waste partnership with the L.A. Memorial Coliseum, home of the USC Trojans and Los Angeles Rams. Our efforts helped the stadium go from zero percent diversion to zero waste in two football seasons. Athens Major Account/Food Waste Manage Jennifer Cilloniz described how our American Organics composting facility was a key factor in reaching this goal. The results of this project are groundbreaking, and we look forward to continuing our collaboration with the Coliseum to reach their sustainability goals.